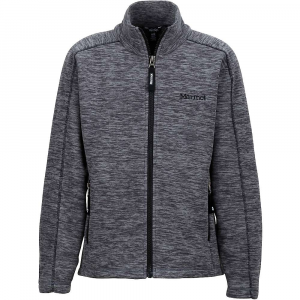 Columbia Sportswear Girl's Pearl Plush II Hybrid Hoodie Jacket - The Girl's Pearl Plush II Hybrid Hoodie Jacket by Columbia Sportswear is simply styled and yet an arguable standout. 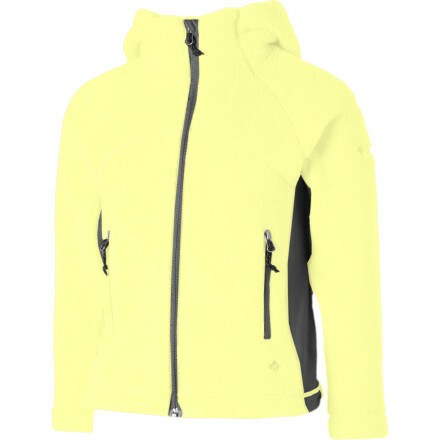 This soft, cozy, water-shedding hoodie jacket for girls is built for warmth and comfort with bonus weather protection. 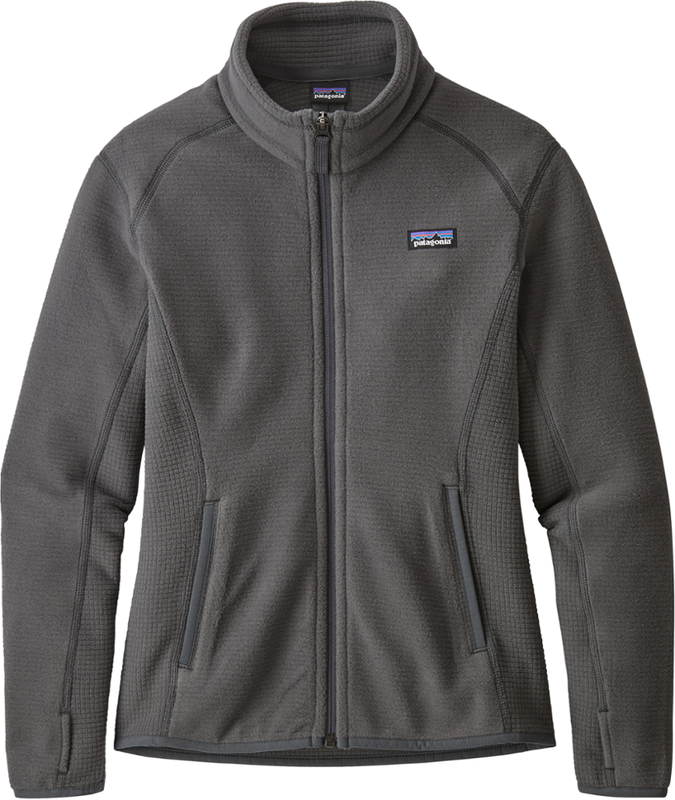 It's crafted from a plush high-pile fleece that's so soft against the skin, with an Omni-Shield water- and stain-repellent nylon overlay on the hood, shoulders, and torso to shield her from rain, sleet, snow, and stains. 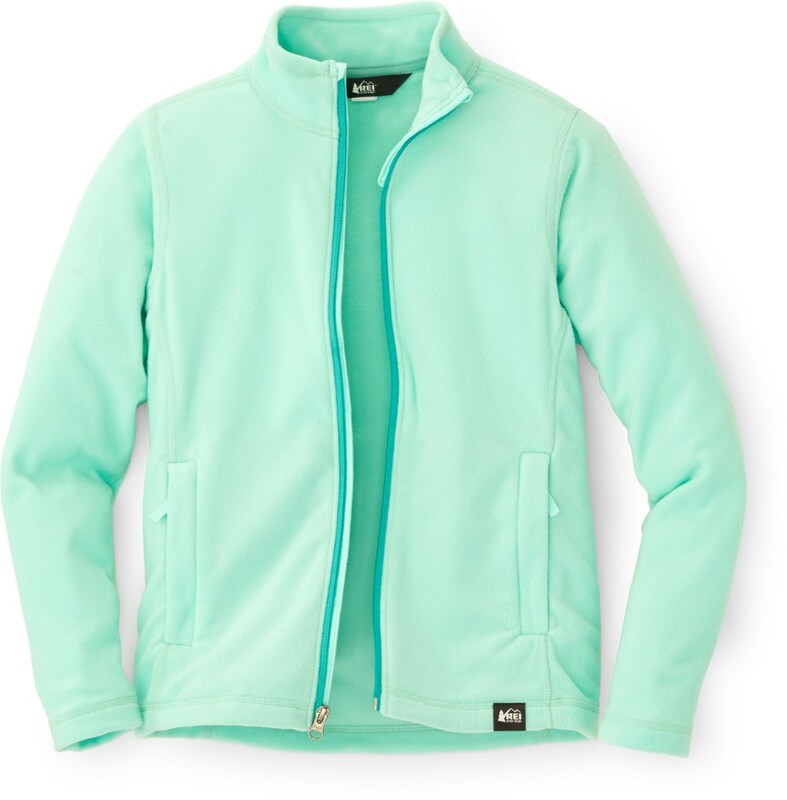 Two zippered hand pockets make sure she always has a place to keep her most treasured possessions. 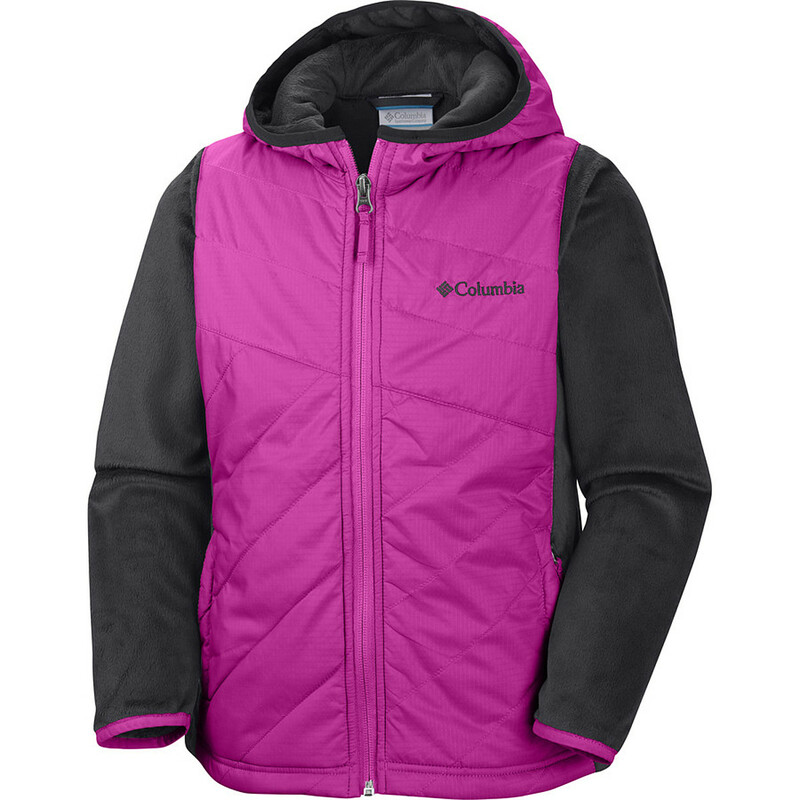 Make sure she has everything she needs the next time she ventures outdoors in the cold with the Columbia Sportswear Girl's Pearl Plush II Hybrid Hoodie Jacket. CLOSEOUTS . 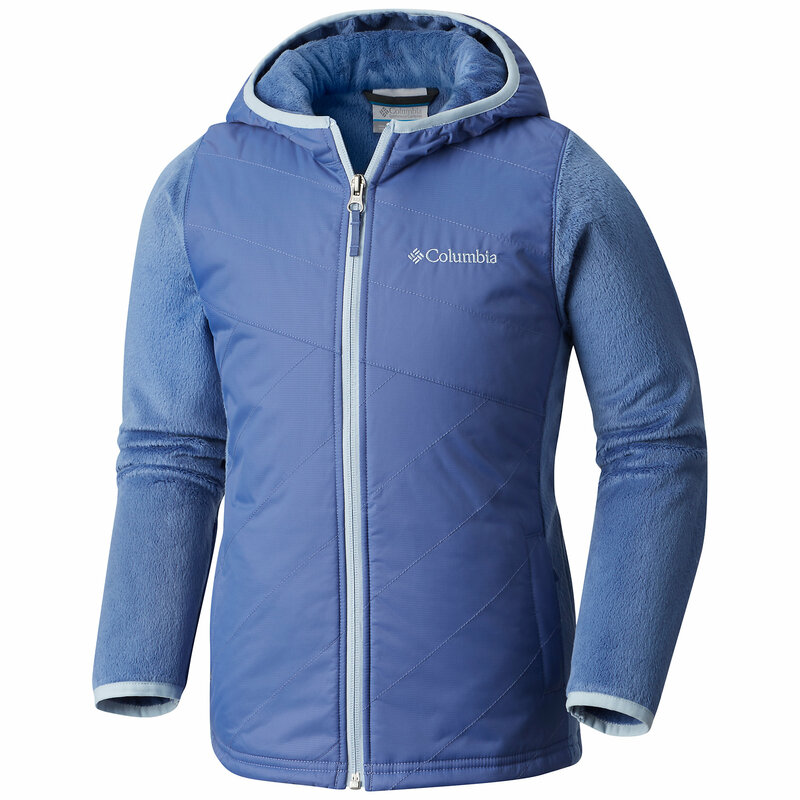 She will absolutely love the furry, ultrasoft fleece of Columbia Sportswearand#39;s Pearl Plush Hybrid jacket, and you will love that sheand#39;s protected by the Omni-Shieldand#174; nylon ripstop front panel. 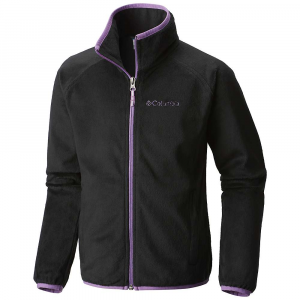 Available Colors: BLACK, HYPER PURPLE, OCEANIC. Sizes: 2XS, XS, S, M, L, XL.